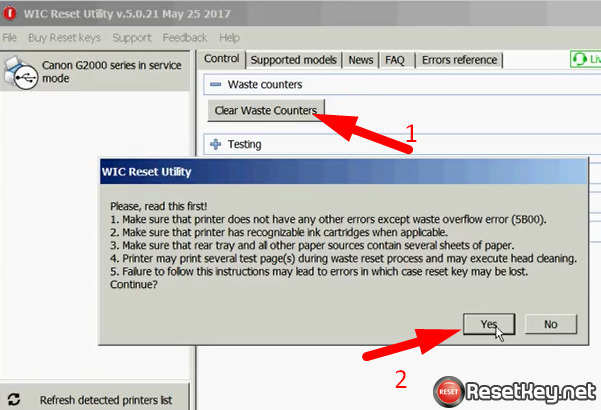 Canon G3700 error code 5B00 mean the waste ink counter overflow, you have to reset Canon G3700 Waste Ink Counter (clear Waste Counters). The printer will blink as follow: Orange light – 7 times. Alternatively Green (Power) and Orange. As increasingly more ink spills take place on your Canon G3700 printer’s ink cartridges, due to proper ink cartridge and also continuous ink system installation, the 5B00 error message will be more likely to appear on your own Canon G3700 printer. 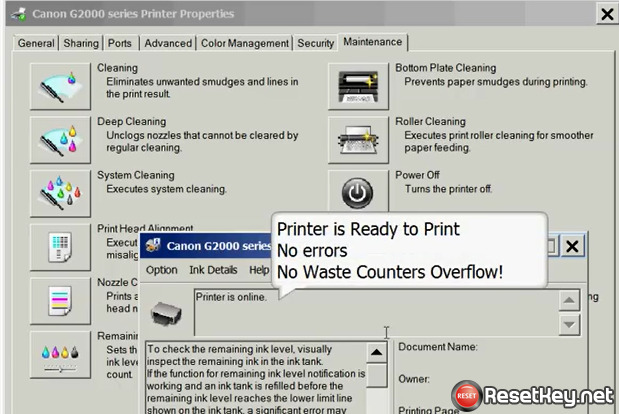 Solution for this problem is reset Canon G3700 printer by WIC Reset Utility tool. 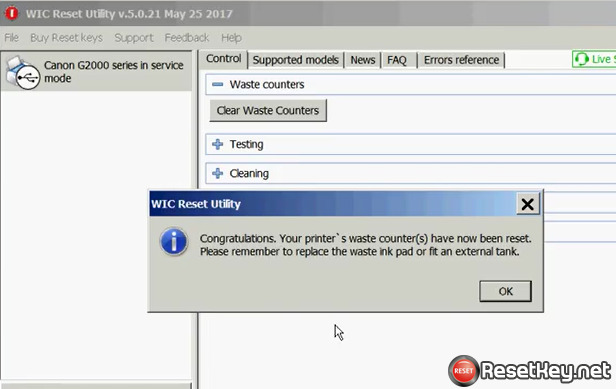 New WIC Reset Utility supports Canon G3700 printer now. Please always use latest WIC Version!! 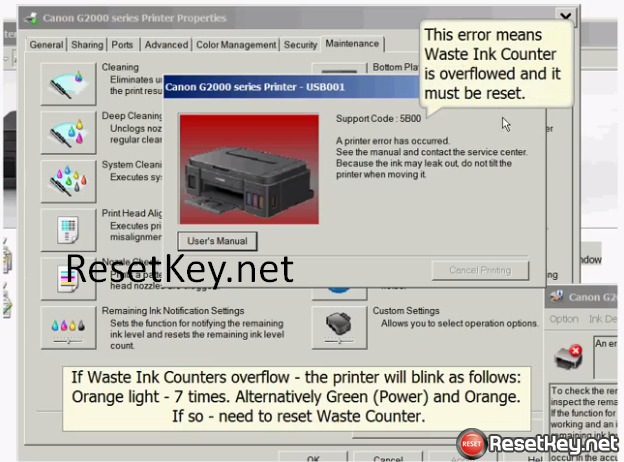 To reset Canon G3700 5B00 Waste Ink Counter Error – You have to PUT CANON PRINTER IN SERVICE MODE! 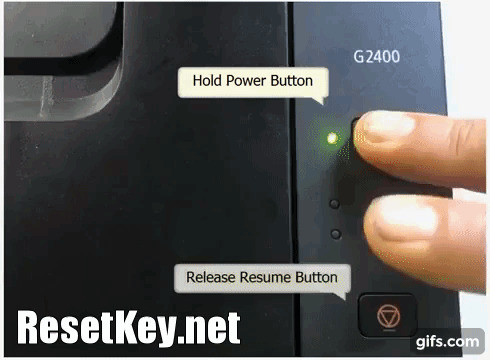 Then use WIC Reset Utility Tool with the Reset Key to reset your Canon G3700 printer. It takes less then 1 minute! 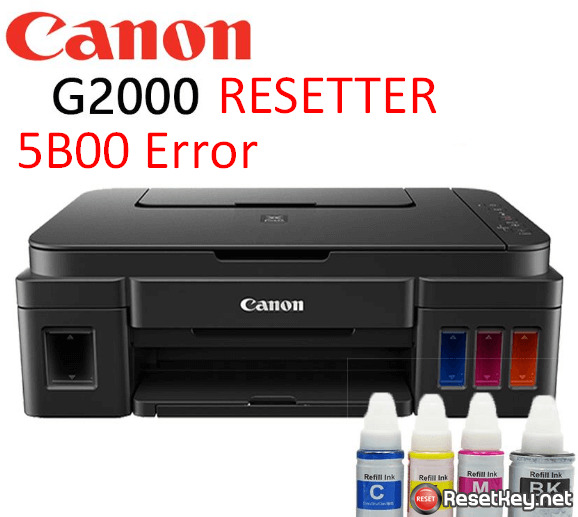 If for reasons uknown You can’t put Your Canon G3700 printer in SERVICE MODE – You will be NOT ABLE to perform RESET! If You used Canon Service Tool such as ST V3400, V4200 etc… – The printer will not be able to enter Service Mode after that. Therefore the only solution to fix the issue is to change or reprogram EEPROM Chip on printers main board. If You cant put printer in Service Mode – You dont have to pay for Reset Key – it will not work. Step 3: Press and hold printer’s POWER button. Now, Canon G3700 printer on SERVICE MODE condition. In this condition, computer detect found new hardware. 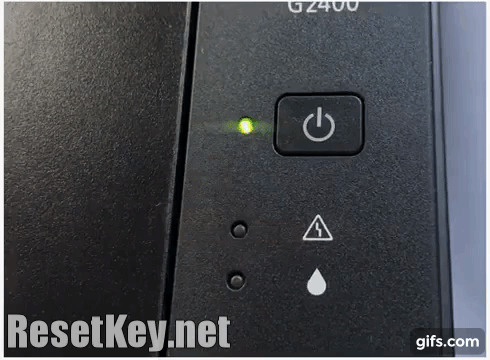 After put Your Canon G3700 printer in SERVICE MODE, please follow this instruction to reset Canon G3700 printer. 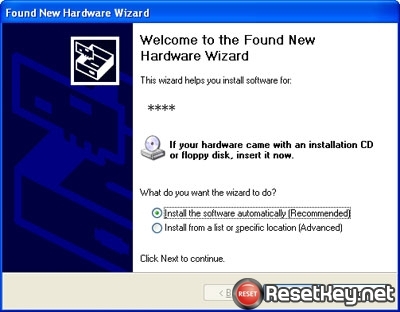 Step 1: Download latest WIC Reset Utility tool with above link (or here). 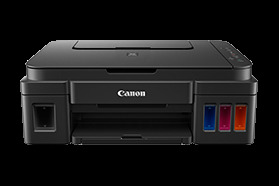 You will receive a “Congratulations” message if everything ok.
Now check Canon G3700 printer status in Control Panel, If it shows “Printer is online“, your Canon G3700 printer is ready to print – no errors – no waste Counters Overflow. I hope this article useful. Have a nice day!